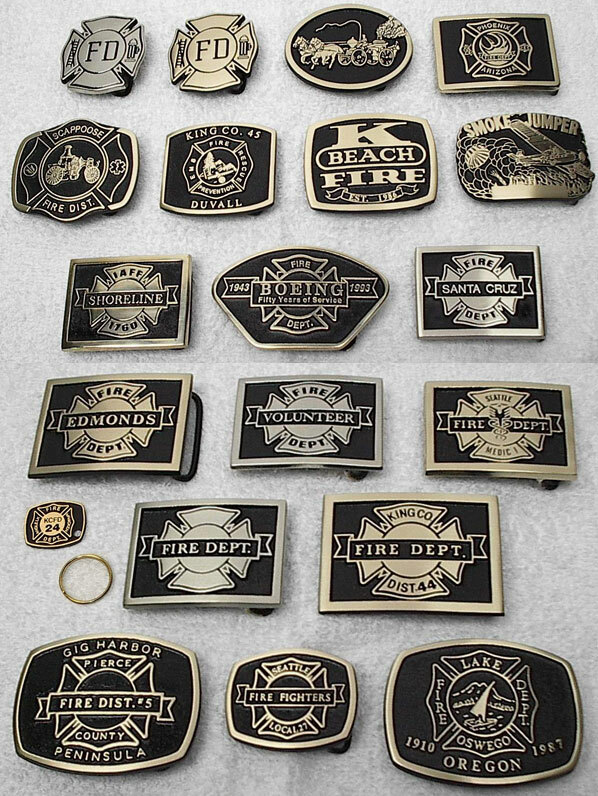 Proudly display your Fire Department affiliation with these handsome cast bronze belt buckles and key fobs, available in silver or gold satin finish. Our other cast bronze products include medallions, paperweights, pen sets, lapel pins, badges, desk name plates, key tags and money clips. Our customer service department can help you with any custom cast bronze belt buckle or other product.